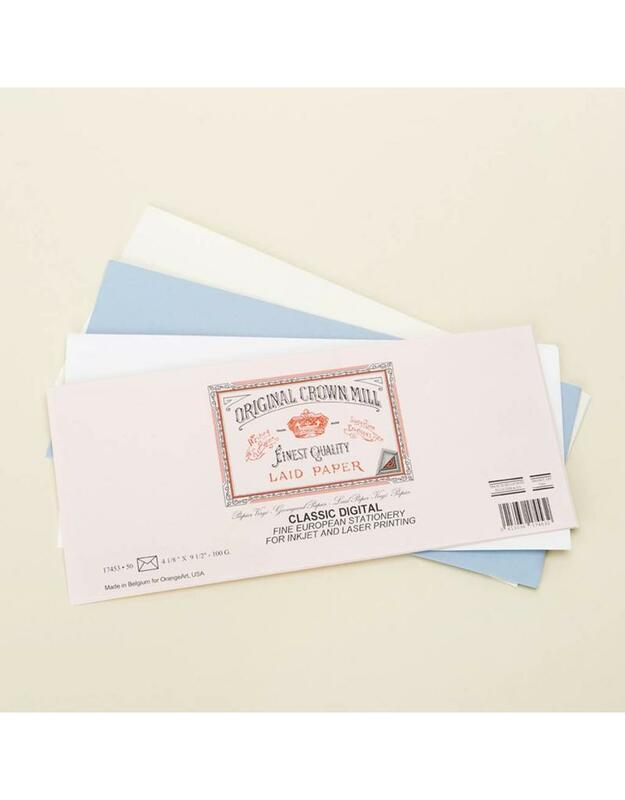 These laid textured envelopes take well to ink and graphite as well as digital printing. 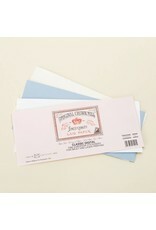 Available in a range of pastel and neutral colors. Ideal for business letters. Original Crown Mill paper dates back to 1478 when the Holy Roman Emperor of the time, Emperor Maximilian I, granted the monks of the Belgian hamlet La Hulpe permission to build a mill. The monastery quickly became a hub of fine paper-making. 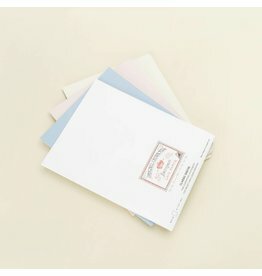 Centuries on, the region is still producing this crisp laid finish and cotton rag paper to exacting standards of elegance, supplying the Belgian Royal Family (and the rest of us) with beautiful, evocative stationery. Measures 4.125" x 9.5" (fits standard US letter paper.) 50 gummed unlined envelopes.